After covering the basics of coaching in the contact centre, Jacqui Turner presents her six-step plan to create a coaching culture. In many contact centres, advisors are often very apprehensive, anxious, or even defensive when their manager books in a coaching session with them. Why is that? Isn’t the purpose of coaching to inspire and empower team members to find their own solutions, take control of their own development and build confidence in themselves to believe that they can achieve their potential? Surely that should be a good thing, so why isn’t it for many contact centre teams? Why Does Contact Centre Coaching Often Have a Bad Reputation? In many businesses, the people who receive coaching are often the people who are underperforming. Managers believe that the people who perform well will keep performing well, so they can be left to get on with it. In my experience, this situation happens all too often. Advisors have told me that that is exactly how they feel. It’s easy to see why coaching has become a ‘bad’ word in some businesses. What Coaching Skills Have Contact Centre Managers Had? The next question to consider is what development opportunities have contact centre managers had, over the last 2 or 3 years, to build upon their existing coaching skills? If managers haven’t received ongoing support, or attended coaching skills training, are they going to know what effective coaching is? Or, even if they do know, is it possible that they have slipped back into bad habits of telling? Without continued growth and developmental support, how can managers be expected to be at the top of their game, in order to achieve their potential and, in turn, help their team to achieve theirs? Coaching is an important management skill to have, but without continued growth and developmental support, how can managers be expected to be at the top of their game, in order to achieve their potential and, in turn, help their team to achieve theirs? It is not an easy task to help an individual to overcome a limiting or negative belief about themselves or their environment. It’s also difficult to motivate people to adopt new habits by recognising there are better choices they can make. 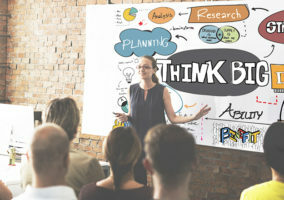 However, a manager who has developed great coaching skills and continued to expand their knowledge of coaching practices, tools and techniques will welcome the above challenges. This is because they will have confidence that they can truly make a positive difference to their team members, no matter what the potential barrier is. This type of manager will also recognise the importance of coaching the good performers to identify ‘stretch’ opportunities within their current role or to develop new skills in order to seek career progression. A manager who coaches can adapt their coaching style to meet the needs of their team. Are Managers Coaching Regularly Enough? Coaching doesn’t have to be formal and scheduled, although these types of sessions are important. Instead, it can be “in the moment”, like when a team member or another manager has an issue and is looking for a quick solution. Are these opportunities to coach, or is it just a question of show and tell? Now of course, there are times when a person doesn’t have the knowledge and needs direction. However, there are many occasions when people do have the resources within them to find an answer, but it’s easier and quicker for them to ask a manager. What’s the consequence of doing this? The answer is that the contact centre creates an environment where people become dependent on the manager and take up much of their time. After all, they know that the manager can be relied upon to give them the answer! By doing this, the contact centre is missing the opportunity to develop the decision-making and problem-solving skills of their team, while overlooking the chance to show confidence in them too. So, look for regular and consistent ways to coach, e.g. situations where a few questions can be asked to help individuals think about their options. If these sessions keep being cancelled, or coaching begins to get the reputation of becoming an ad hoc task, then the contact centre is not going to achieve the results that it seeks, quickly. It’s also important to ensure the formal, coaching sessions are regular. It takes time for people to create new habits and so they need consistent and regular coaching support to keep them on track. Managers and team leaders take their lead from the contact centre’s senior manager, so it’s important to lead from the top. This really makes a difference as to whether the contact centre has a coaching culture or not. After all, if managers and team leaders don’t see their boss demonstrating coaching as being important, then why should they think any differently? If a business is serious about creating a coaching culture, then all levels of managers need to show a positive commitment towards developing their coaching skills, looking for coaching opportunities and of course practise, practise and more practise. As highlighted in the graphic, there are six key steps to creating a culture of coaching in the contact centre, each of which is discussed in more detail further below. Ensure all levels of managers receive ongoing developmental coaching support, so they keep learning and building their knowledge and skills. Coaching is a fantastic skill to have but it’s not an easy skill to develop and be great at. Why? Because you are dealing with people, and people are complex, with many different beliefs, values, experiences, thoughts and internal barriers. Provide opportunities for managers to share best practice, even opportunities to observe a coaching session (with the coachee’s permission, of course). The more that managers talk to each other and share their knowledge, the better everyone’s skills will be. To go one step further, managers could visit the company’s other contact centres to share coaching best practices. HomeServe’s contact centre in Walsall does this, taking seven people, from all levels of the contact centre, on a site visit every couple of weeks. By doing this, HomeServe are able to share their best practices for coaching, as well as ideas for how to improve morale, motivation and engagement, while also calibrating the business. 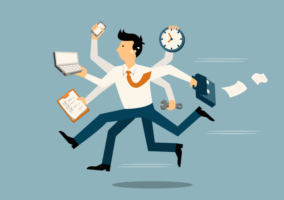 Remove any existing barriers that take up managers’ time but are not urgent or important, in order to free up time for managers to schedule regular coaching with their team. Run focus groups/workshops to find out what is currently stopping managers from coaching and fix it! While advisor focus groups are often shown the following grid to identify how their role can be simplified, there is no reason why managers cannot sort their tasks into a similar format. Once the manager’s tasks have been sorted, those that hold little value to the company or to the customer can either be eliminated or delegated out. These tasks are likely to include things like responding to certain emails, attending certain meetings and other bits of trivia. Make sure that everyone has the opportunity to be coached, so it is seen as valuable by all. This way, no one will feel singled-out. However, coaching doesn’t have to be the same old one-on-one quality sessions. Try varying it up to include self-assessment and peer-to-peer coaching or invite advisors into quality calibration sessions. Remember, running continuous coaching doesn’t mean continuously running through the same old activities. 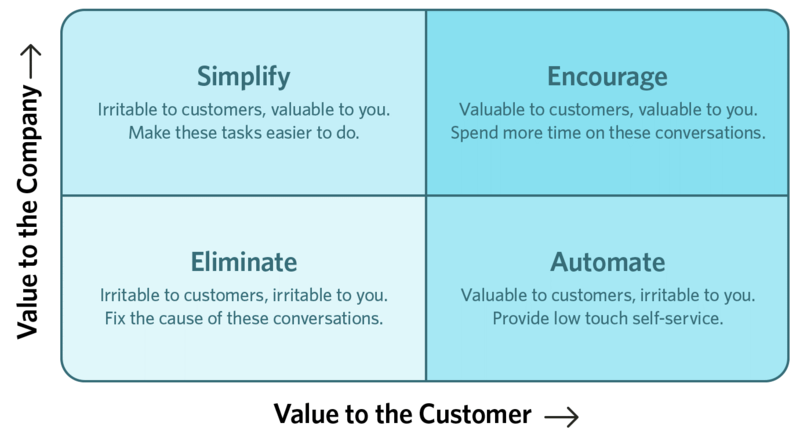 Introducing new ways to learn, like the Johari Window, will freshen up the contact centre programme and likely improve an advisor’s enthusiasm to learn. Recognise the positive steps people take towards achieving their goals through coaching. Give positive feedback, so people feel motivated to continue. Just like some contact centres encourage advisors to compliment the customer to boost their satisfaction on a call, giving advisors positive feedback will likely improve their attitudes towards coaching. Even in situations when negative feedback is required, focus on the solution and not the issue, while telling the advisor how easy the problem is to solve. Educate advisors, so they understand what coaching is and what they can get from it. If people have been used to the ‘Tell’ approach, they may confuse this with ‘coaching’, and this is why people can feel defensive about being coached. So, it’s good practice to create an atmosphere of knowledge sharing from within the contact centre to encourage discussion on improving performance, helping to gradually remove the “Tell” culture. 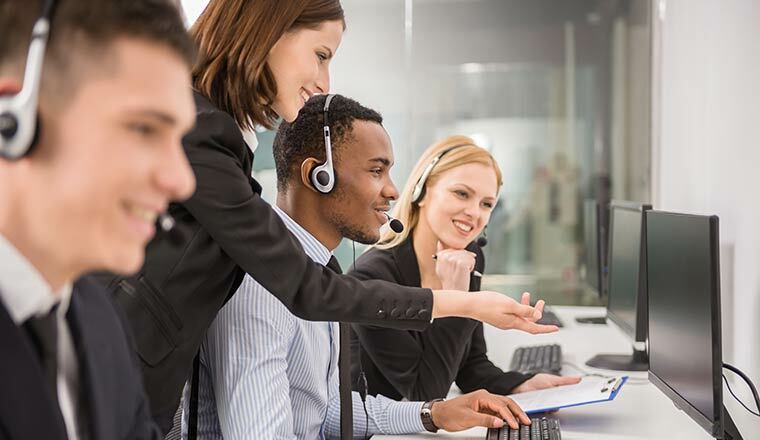 One way to encourage this knowledge-sharing atmosphere is to encourage advisors to write down their tried and tested call-handling tips, which can then be added to a PowerPoint that is displayed on contact centre wallboards. Do you agree with this six-step process? Or have we missed any important advice?